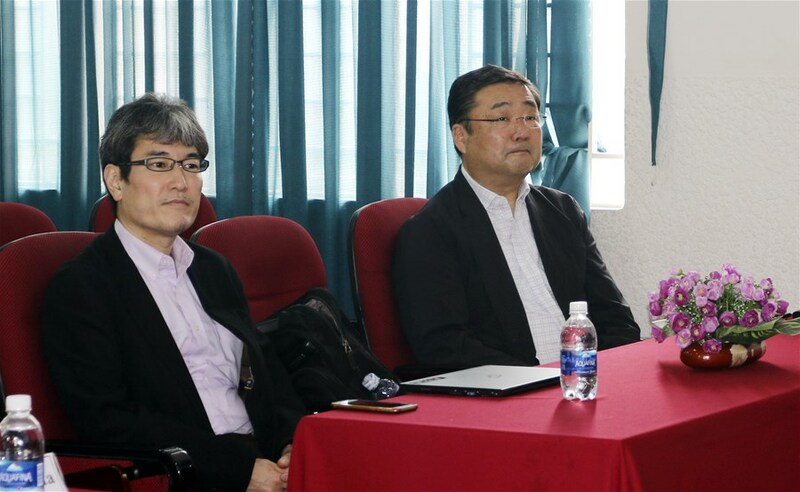 LHU organized a free course on Japanese business culture on March 12 for junior students of Japanese Studies and Mechatronics - Electronics majors. Through the course, students can approach business models, environment and working culture of Japanese enterprises. This is an annual course, aiming to equip students with working skills, behavior, discipline in accordance with Japan's standards to ensure safety, quality and high productivity. Being in charge of the course, Prof. Fumio Okita - Japanese Corporate Culture Training Specialist of Japanese Cultural Association (HIDA) - Director of OKITA Office Human Resources Training Company (Tokyo) has a lot of experience in studying Japanese culture and environment as well as relations with Vietnamese people working in Japanese companies. This time, he also invited Japanese businesses to join the class to help students have a clearer view. At the program, students exchanged all concerns when working for Japanese companies with experts. 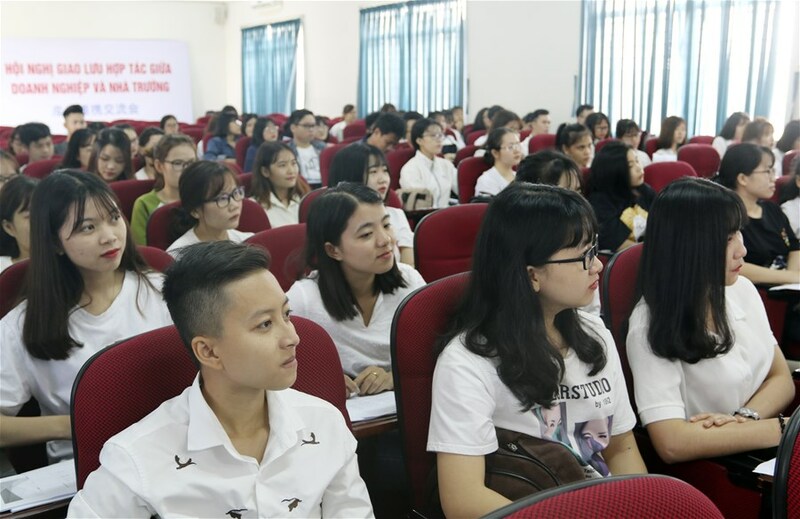 The experts enthusiastically instructed students to learn about characteristics of Japanese corporate culture, labor discipline and especially Horenso skills - a Japanese working skill. The dedicated guidance and intensive training of experts and advisors working at Japanese enterprises helped students develop communication skills, team work, problem solving skills, planning, organization, management skills, self-study skills, working skills at enterprises through training courses or annual internships. Currently, LHU has signed a cooperation agreement with ESUHAI - KAIZEN YOSHIDA SCHOOL Co., Ltd. on training and recruiting graduates to work in Japan. In the coming time, the two sides will build a training center under the Japanese model and commit that 100% of LHU graduates will be arranged to work at Japanese enterprises. Adding Japanese working skills into teaching is one of the important and indispensable contents in the University’s curriculum. As a result, students have more development directions and career opportunities after graduation.